Green smoothies are dark green leafy vegetables blended with fruits and a liquid to form a smoothie. These smoothies are rich in essential vitamins, minerals, amino acids, phytonutrients and antioxidants. They are quick and easy to make and are a fantastic way of increasing your consumption of greens, as you are consuming about 1 – 2 cups of leafy greens in a smoothie. Who can eat two cups of greens in the form of a salad? How do I make a green smoothie? All you need is a blender, ideally a high speed one. We use our Vita-mix blender or the Tribest blender (pictured). A chopping board and knife. When I first started consuming green smoothies I found I had more energy through out the day, my craving for chocolate reduced, I had more focus and clarity and I slept better. Over time I have found that I also require less sleep now. The kids enjoy green smoothies and we will make icey poles out of the left over green smoothies to be enjoyed later. Some of the other benefits people have experienced is more vitality, feeling happier, weight lose and clearer skin. Green smoothies are very nutritious. I recommend starting with about 60% ripe organic fruit mixed with about 40% organic greens and slowly changing towards 60% greens and 40% fruit. Green smoothies are easy to digest. When blended well, most of the cell walls in the greens and fruits are ruptured, making the valuable nutrients easy for the body to assimilate. Green smoothies literally start to get absorbed in your mouth. Green smoothies, as opposed to juices, are a complete food because they still have the fiber. Consuming fiber is important for elimination via the gastrointestinal tract. 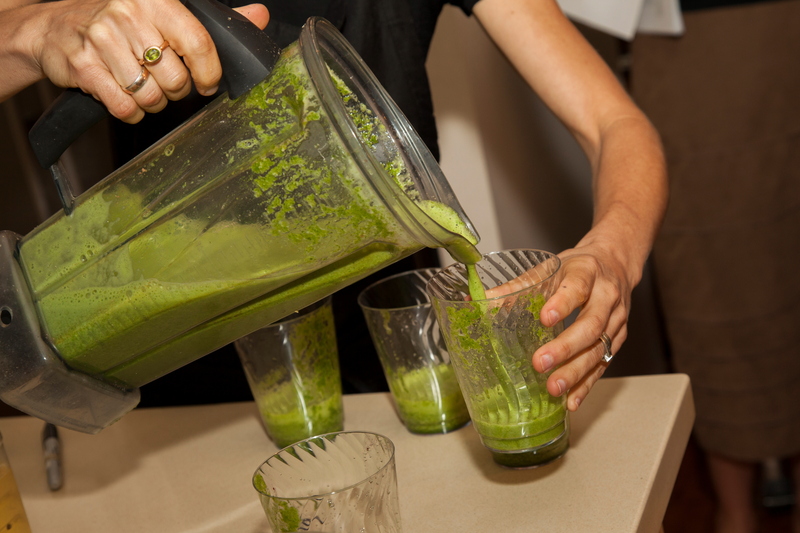 Green smoothies are among the most palatable dishes for humans of all ages. Fruit taste dominates the flavour, yet the greens balance out the sweetness of the fruit and add a nice zest. People who eat a standard American diet enjoy the taste of green smoothies. They are usually quite surprised that something so green can taste so nice. Green smoothies are chlorophyll-rich. A molecule of chlorophyll closely resembles a molecule of human blood. According to teachings of Dr. Ann Wigmore, consuming chlorophyll is like receiving a healthy blood transfusion. Many people do not consume enough greens, even those who stay on a raw-food diet. By drinking two to three cups of green smoothies daily, you will consume enough greens to nourish your body; and all of the beneficial nutrients will be well absorbed and assimilated. Green smoothies are easy to make and quick to clean up after. In contrast, juicing greens is time-consuming, messy and expensive. 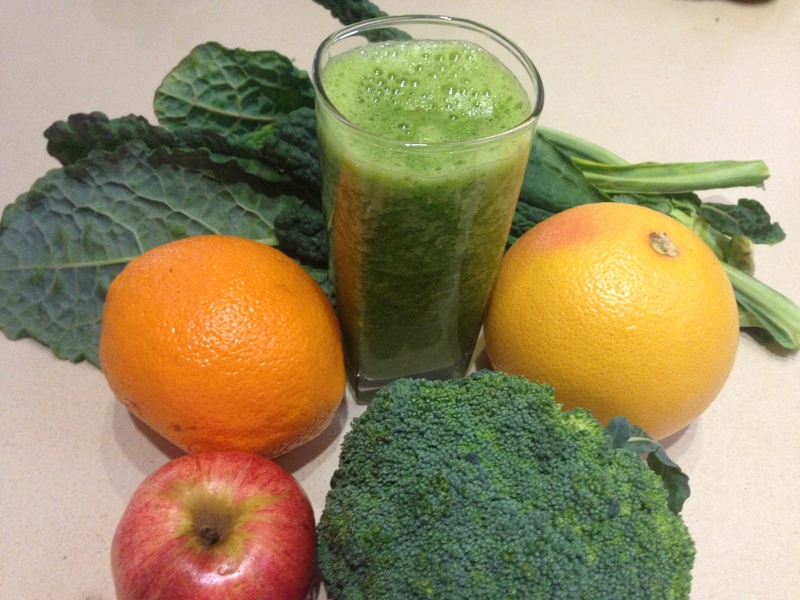 Many people abandon drinking green juices on a regular basis for these reason. To prepare a pitcher of green smoothies takes less than five minutes, including cleaning. Green smoothies are loved by children of all ages, including babies of six or more months old. Of course, you have to be careful and slowly increase the amount of smoothie so that the infant’s or child’s body can get used to the high nutrition in liquid form. When consuming your greens in the form of green smoothies, you are greatly reducing the consumption of oils and salt in our diet. Regular consumption of green smoothies forms a good habit of eating greens. After a few weeks of drinking green smoothies, most people start to crave and enjoy eating more greens. Eating enough greens is ofter a problem with many people, especially children. While fresh is always best, green smoothies will keep in cool temperatures for up to three days, which can be handy at work and while traveling. ← What are Vision Boards?